Afghan security officials on Monday warned Pakistan against carrying out any further action along the Durand Line and said additional hostile moves would have serious repercussions. Speaking at a joint press conference with Pakistani military officials in Dand-e-Ptan district, in Paktia, which is close to Zazi Maidan district in eastern Khost province, the officials said the Afghan people will not tolerate hostile action by Pakistan’s military against their country. According to reports, residents in Dand-e-Ptan district have taken up arms to defend their areas against Pakistan if necessary. Although the clashes have eased off, Afghan security forces and residents in the area are on high alert and will retaliate if attacked by Pakistan again, officials said. “Any movement which is taking place at the border should be reported to the opposing side; you (Pakistani military) have shed the blood of innocent people and it is not a good approach,” said colonel Faraidoon Fayaz, the commander of Afghan border police in the eastern zone at the press conference. 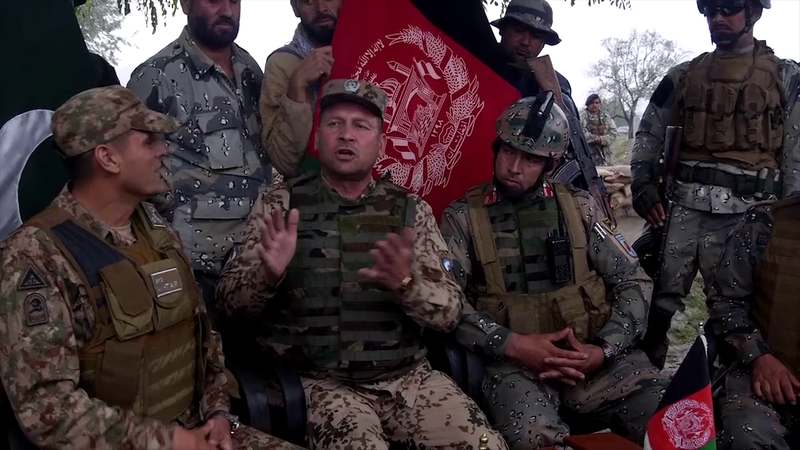 “You (Pakistani military soldiers) serve on the zero point at the border and must respect the international law; you (Pakistan side) argue that ten meters does not make a difference, but you should stay 50 meters away from the zero point at the border,” said Colonel Osman Janbaz, the commander of the second division of the Afghan border police. Pakistani military officials meanwhile said that war is not the solution, suggesting a ceasefire was needed in the area. “Your criticism is that we have committed an act of violation; we should sit together and talk to find out whether this area belongs to you or to us,” said Pakistan’s army officer Akhtar. 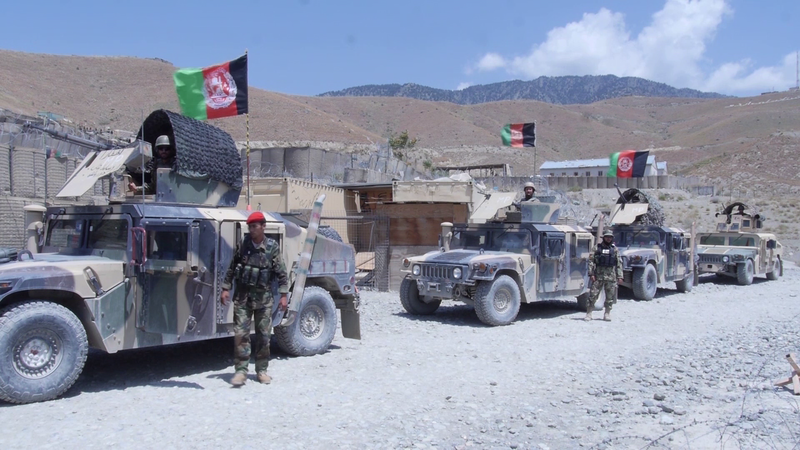 Afghan security officials in Paktia have accused the Pakistani military of violating Afghanistan’s sovereignty and international law. “Yesterday (Sunday) the Pakistani military forces first launched an attack on Jandighar area of Zazi Maidan district of Khost province, such an action is not acceptable to us; we warn Pakistan against conducting such attacks in future,” said the 203rd Thunder Corps commander, General Shaur Gul. 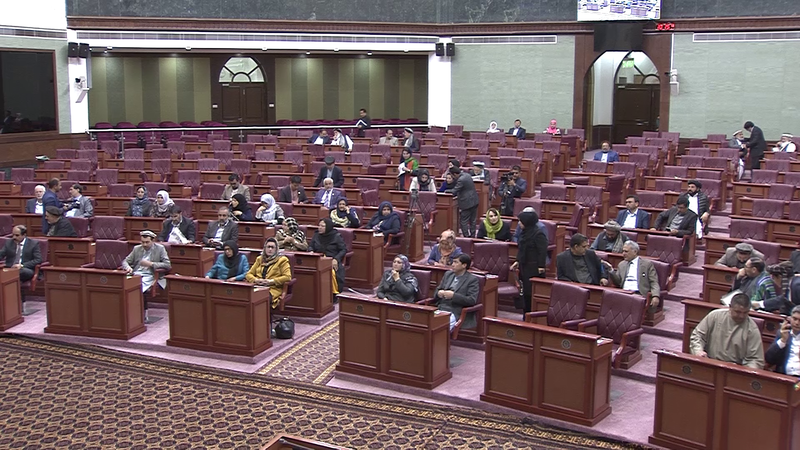 In response to the attacks by the Pakistani military, lawmakers in Afghanistan’s Wolesi Jirga (Lower House of Parliament) have slammed Pakistan for the attacks over the past two days. Some MPs said Pakistan is an enemy which does not want to see a peaceful Afghanistan. Lawmakers however, praised the residents, in Zazi Maidan, for having defended their country after Sunday’s attack by Pakistan. “Pakistan’s Punjabis once again carried out a heavy attack on Zazi Maidan district and the border regions,” said one MP, Sahib Khan. “The Pakistani delegation set at least six conditions for Afghanistan which is totally in contradiction to the constitution of Afghanistan and the international law,” said MP Saima Khogyani. “We hope that the Afghan government is not deceived for the 15th, 20th, 100th time by Pakistan,” said MP Abdullah Mohammadi. Dand-e-Ptan district is close to Zazi Maidan district of eastern Khost province – both of which border Parachinar district in Kurram Agency in Pakistan. Zazi Maidan on Sunday came under fire by Pakistani troops. Clashes between Khost residents and Pakistani military personnel broke out in the district when Pakistani troops tried to take control of an Afghan check post. According to reports, at least three Pakistani soldiers were killed during the skirmish and three soldiers were arrested by the Afghan security forces. Pakistan has asked for the return of their nationals, but did not clarify whether they were dead or alive. A security delegation met with Pakistani military in Paktia on Monday to discuss the recent cross-border attacks.